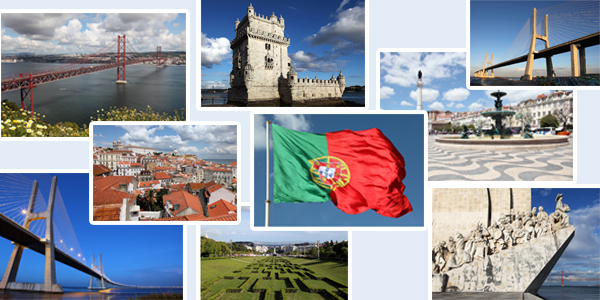 As the largest and most important city of Portugal, Lisbon is one of the oldest cities in the world and the oldest city in Western Europe. It is also recognized as a global city because of its importance in finance, commerce, media, entertainment, arts, international trade, education and tourism. It is one of the major economic centres on the continent, with a growing financial sector and one of the largest container ports on Europe's Atlantic coast. In addition to the main transport being the Lisbon Metro, Bus, funicular and tram services supplied by Carris every day come in Lisbon about half a million cars, from the peripheral municipalities. Located at 38°42′49.75″N 9°8′21.79″W, situated at the mouth of the Tagus River, maximum altitude in the Sierra de Monsanto (226 meters), Lisbon is the westernmost capital of Europe. It is located west of Portugal in the Atlantic Ocean. ParkVia offers alternative parking services in Lisbon city centre in a practical and economical way. We know the difficulty of finding parking in Lisbon at affordable prices, so ParkVia made a selection of parks in the Lisbon city center to help you choose the best place to park your vehicle. Enter the date and time for drop off your vehicle. Enter the date and time for pick up your vehicle. Click Check availability. To view all services that the car parks in Lisbon listed on our website offer, just click on the car park logo and read the information that will appear on your screen. The address and telephone number for the park, you will receive via e-mail indicated on the booking form.